Founder and head of the ensemble — Jonas Zenonas Bernadisius, cultural prize winner of Kedainiai land. The ensemble was founded in September 1992 by Jonas Zenonas Bernadisius and he is still at the head of it up to now. The composition of the ensemble is changing but there are some members who take an active part in its work from the very beginning. The repertoire of the ensemble consists of West European classical music, performed in Lithuanian and Latin languages. 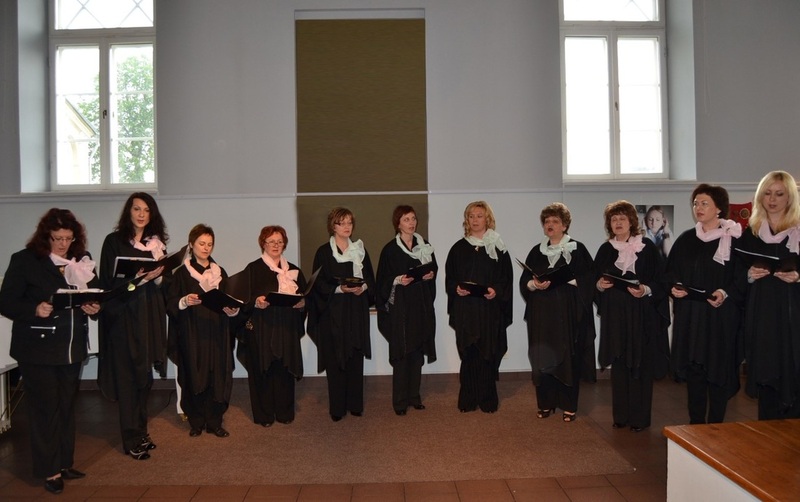 The musical compositions of the ensemble “Giesme” were performed in different religious places: in cathedrals and biggest churches of cities and towns in monasteries, museums. The ensemble is singing during prominent national festivals, also in festivals of religious music and various competitions in Lithuania. It has won various prizes and awards. The company “Giesme” is popular in Lithuania. It was fated that it became so popular thanks to the leader’s and singers’ devotion to sacred music. In April 2016 the ensemble had the 500th concert and at the same time it was celebrated the 60th anniversary of its leader Jonas Zenonas Bernadisius creative activities. The ensemble had concerts with some famous Lithuanian soloists. Professional singers of classical music: Grete Jokubauskiene and Andrius Apinis are coming to Malta festival to sing together with the ensemble. The accompanist of the group is Aelita Petrauskiene.